Help protect your ukulele from cracks due to dry conditons. 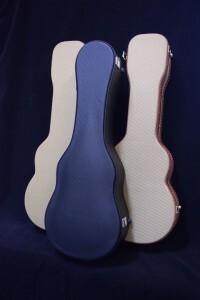 The Oasis Ukulele Humidifier has an advantage visually as it, unlike other humidifiers, is made of a fabric that pulls inward as water is evaporated. This way you can easily see when Oasis is ready for a refill. 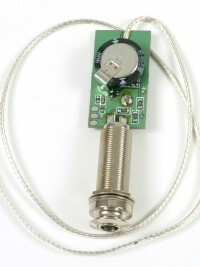 Easy, long-lasting protection for our customers that live in the colder, drier parts of world. Aloha! 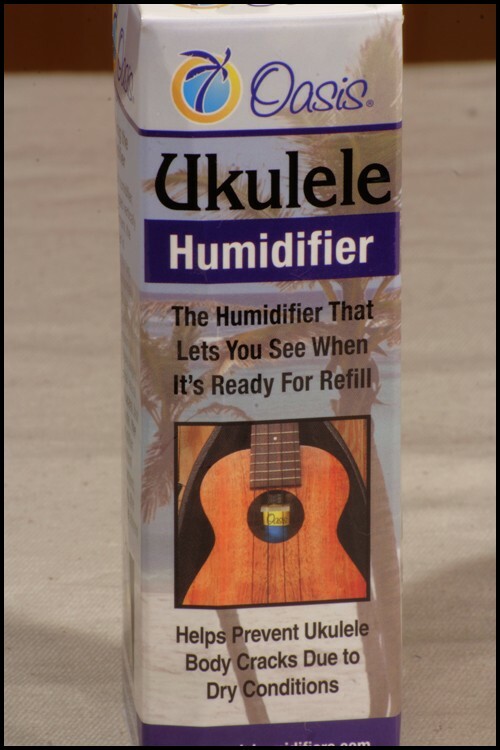 This is the humidifier that we suggest to anyone getting a solid wood ukulele that lives in an extremely dry climate, or has periods of the year that get very dry, as in under 30% humidity. Long lasting, the Oasis can last 7-10 days before refilling is needed. 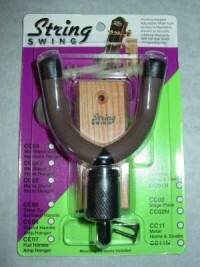 The mounting system allows the humidifier to hang horizontally inside the ukulele rather than vertical (like a guitar humidifier). It has double leak protection for Oasis is waterproof and will not leak in normal use (humigel water absorbing crystals provide a second layer of protection trapping the water in a gel matrix). 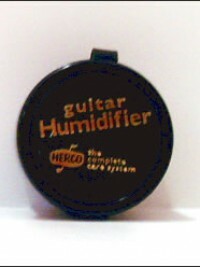 This product has a reduced humidity output made especially to accommodate the smaller instrument size of an ukulele.